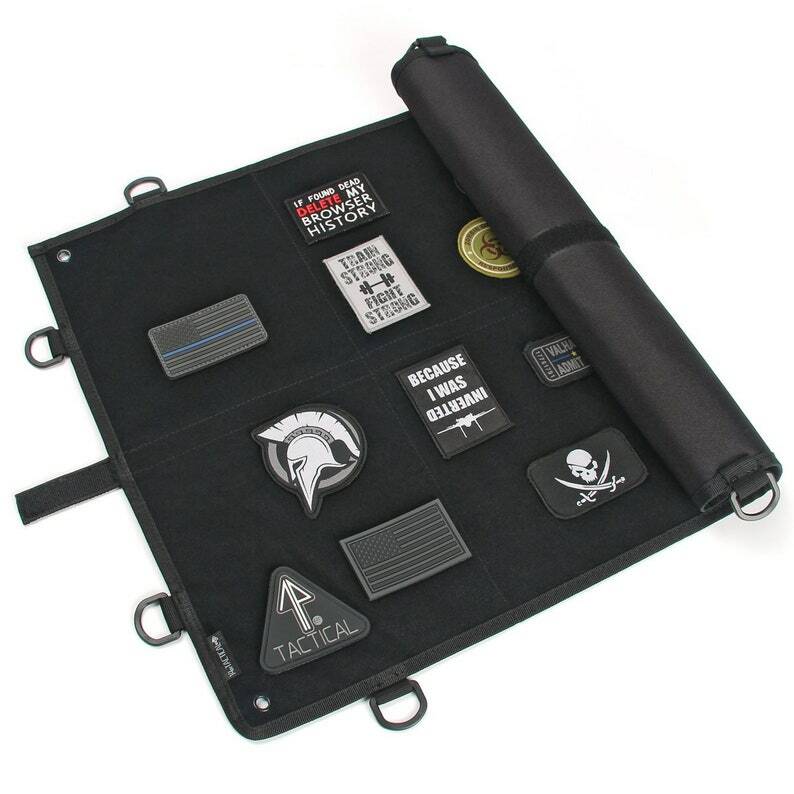 The Morale Patch Panel features a high-quality fastening surface, and multiple securing options - including an option to roll and store your panel! This is the perfect way to show off your PATCH JUNKIE patches! - Cost varies by location. See cost at checkout. - PATCH JUNKIE is a registered brand and is a distributor of 14ER TACTICAL products. - This product and photography are copyright material of 14er Tactical (https://shop.14ertactical.com) and are not to be used or replicated without specific permission granted by 14er Tactical.